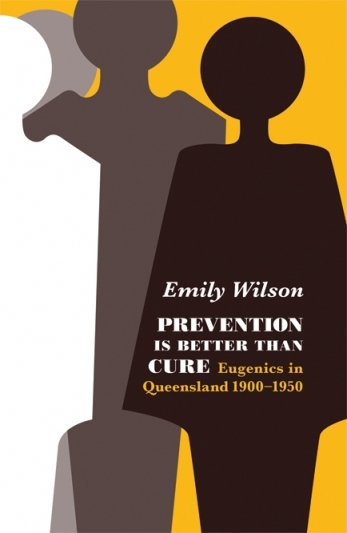 Eugenics, the ‘scientific’ study of creating a better population through selective breeding, was fiercely debated throughout Australia from 1900 to 1950. In Queensland, no formal eugenics organizations existed. However, ideologies promoting racial fitness were widespread in the state, and eugenic philosophy influenced these ideas. This debate constitutes a significant chapter of the history of Queensland with repercussions reaching beyond the first half of the last century, even to the present day. Marginalised people were a prominent focus of eugenic ideology. The mentally ill and intellectually impaired, Aboriginal people and immigrants were among the groups targeted for eugenic intervention. In Queensland, such intervention never reached the extremes of the movement in the US and Europe, but racial fitness was, in many cases, advocated by individuals with the power to influence the lives of those they deemed ‘inferior’. This book shines new light on the intellectual, cultural and social history of Queensland and Australia. Considering the breadth of debate regarding heredity and racial fitness in the state during these years, it focuses on those who argued that, for the good of the race, prevention is better than cure.